Beyond Kolopa.com: Hichilema, by-elections and the future of the UPND | Elias Munshya, LL.M, MBA, M.DIV. This article appeared in the Zambia Daily Nation Newspapers. It is reproduced below. It is another batch of by-elections and another kolopa.com of the United Party for National Development (UPND) by the Patriotic Front (PF). The PF has its own tactical and strategic blunders. They are, however, the ruling party and as such, they are getting some advantage of incumbency. There is still a lot of time to discuss what I have noticed to be serious glaring gaps in the PF overall strategy to date. I will defer that discussion to another date. Since the opposition United Party for National Development (UPND) is not the ruling party, it bears the greater burden of the two parties to show a strong strategy in the political process. If Hakainde Hichilema is to beat Lungu and the PF in 2016, he had better come up with a better plan. What we are seeing so far is a “chimbwi no plan” approach. After losing to Lungu in January 2015, we thought that the UPND would critically evaluate its role and make some changes to its strategy. It is rather surprising that the party’s way of doing things has remained the same. It is ridiculous for the UPND to believe that it can use the same strategy it used before January 2015, and expect to win in 2016 and in between. Weeks after this article was published in the Zambia Daily Nation, it appears that GBM might become UPND Vice-President at tomorrow, Wednesday July 22, press conference. We will come back with an analysis of what that will mean. Hakainde Hichilema has left intact the same team that led to his loss. While the PF has made changes to their team, Hichilema has done nothing. The UPND needs some shake up. I do not advocate for the removal of Hakainde Hichilema, but HH must shake his team a little bit. It is now six months since the 2015 loss, and yet, he has not dared to make some strategic changes to his UPND squad. 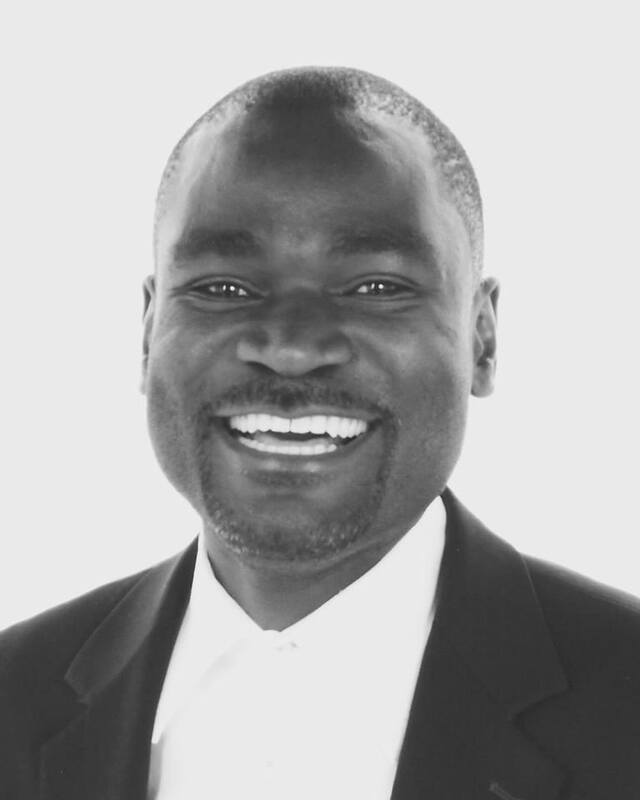 The only change to have taken place in the UPND was the resignation of Richard Kapita. But what the UPND needs is some deliberate retooling of its top leadership. Hichilema must bring in fresh blood such as Maureen Mwanawasa into the top UPND leadership. He could also need to look at the position of Secretary General of the party. I am afraid, the current occupant of this position has been ineffective and for a Chief Executive of a major party, he virtually is unknown. It is time to replace Chibwe with someone more vibrant. Maureen Mwanawasa would be a great choice for this job. She is strong, she is vibrant, and she is the real deal. Hichilema must also move quickly to find a new vice-president to replace the departed Kapita and the current Canisius Banda. I have been of the opinion that the one to replace Kapita should be a Bemba-speaking candidate. Such a choice will help balance a key weakness perceived by a section of the population about the UPND. While empirically, the UPND is tribally balanced, there are some very loud perceptions out there that seem to suggest that it is a tribal party. Hichilema needs to manage those perceptions by wisely dispelling them. 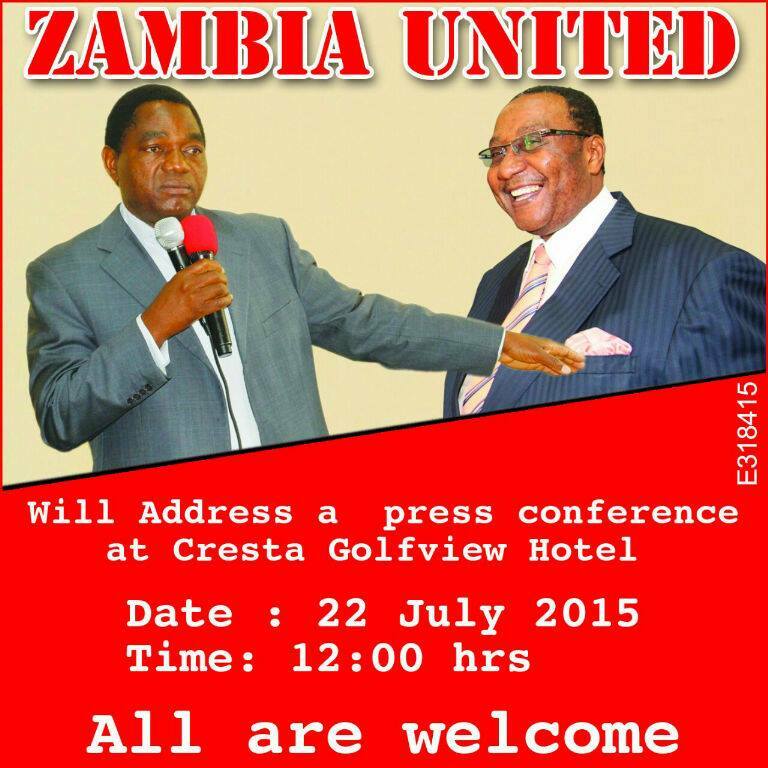 And by integrating a Bemba Vice-President, the UPND will be adding an important layer to dismissing such perceptions. UPND does not have a reality problem it has a perception problem. And in politics like everywhere else in life, perceptions matter. During the January 2015 election campaign, we all thought that the golden era of the UPND had finally dawned. And the results showed a great showing of the UPND in nearly all parts of the country. But in order to win in 2016, the UPND will need to do even better in its non-traditional areas. It is rather surprising, that after the elections, all the politicians, particularly Bemba ones, have now abandoned HH. The question we are asking is, “why does HH fail to make these people stay”? So far, they appear like they support HH and the UPND but they have not done anything tangible to show that they are willing to invest their political capital in the UPND. The likes of Mucheleka, GBM, and Mutati all appear to be quite reluctant to commit. Without serious commitment from such politicians, the UPND will continue in its failure to move its narrative forward. We have, of course, seen HH appear with GBM. But in almost all instances he appears with GBM, they are either roasting michopo at the Hakainde mansion, or they are busy boogying to Pilato’s “Alungu ana bwera” at GBM’s extravagant wedding for his daughter. There is nothing wrong with two rich guys drinking expensive drinks and celebrating a daughter’s nuptials, the problem is with the perception that such activities bring. Instead of just being BBQ buddies, GBM should commit to the UPND, resign his seat in Kasama and do something more tangible for his newly found party. The time to do so is now. Waiting until campaign period opens up in 2016 might be too late. Many Zambians still believe in HH. But HH must do more to show that he believes in himself. So far, he appears to be unsure of himself. He appears insecure and weak. The UPND team needs revamping. HH must do something more daring and take some risks. He is a rich businessman and he has learnt risk taking through his productive life as a businessman. He needs to translate that experience to the UPND. Change something, fire someone and bring in new blood. If GBM, Mutati and Mucheleka will not commit, HH should be decisive and shove them off for people that are actually willing to commit. There is just no time left. Beauty pageants should now be over. Time for roasting BBQs at the mansion is over. A team that is willing to work hard for HH must be recognised now and assembled quickly. And just as a suggestion. HH can also try to talk to Nevers Mumba. It is obvious that Nevers’ talks with Lungu have failed. That should provide an opportunity for HH. Every one knows that the MMD under Nevers will not go anywhere because politics has changed to disfavor the MMD. But that is not to say that Nevers cannot be useful elsewhere. If Nevers cannot approach HH, HH should approach Nevers and try to make a deal, the one that could help the UPND in the long run. HH at one time, did say that President Sata was running a “chimbwi no plan” government. However, the same can be said of HH now. He needs to show that he still has something more for Zambia; otherwise, it will be another kolopa.com in the next batch of by-elections and terrifyingly in 2016 as well. This is grand analysis. I feel HH has failed to bring on board real and politically diverse propagandists. I wish he could listen to such timely insight that is being offered free of charge. Before Kapita even resigned, I had long held a view that he was more that just a liability to the UPND. A friend of mine at point a few years ago scolded me for suggesting that their (UPND) vice president was less vibrant, very docile and lacked appeal. Quickly, my friend came to Kapita’s defence claiming he had been a loyal member of the party for too long and the party couldn’t just ‘dump’ him! But as clearly noted in the article above, practising politics of sympathy and/or loyalty but without commitment and impetus on the part of one to be sympathized with only spells doom for the political party. Kapita’s resignation should have been a sacking from the president! HH needs to be decisive and lead the party with an iron fist, just as Sata (M.H.S.R.I.P) did. The UPND needs people that speak the loudest even when silent because there couldn’t have been a better time to do so than now when Zambians seem so desperate to listen to some sensible, soothing, yet loud voice!